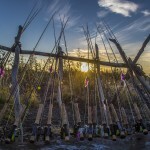 Join us for the final, and many argue the” finest week on the Kanektok River”. 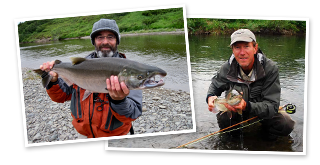 The Kanektok is well established as one of the greatest trout, char, and salmon fisheries in Alaska. 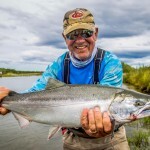 This particular week on the Kanektok produces some of the most extraordinary fly fishing action in North America. 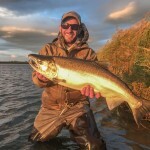 Coho will be staged in large numbers and more enter on each tide. 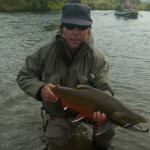 The Dolly Varden Char will be dressed in spectacular pre-spawn coloration. The mousing for Rainbows is legendary. 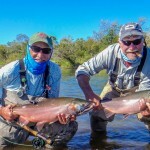 Join a small group for 8 days / 7 nights of rafting, wading, camping, casting, and fine riverside dining. The staff will set up your camp in some of the most beautiful wilderness scenery imaginable. 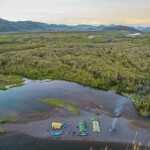 Participants who have fly fished in Alaska and those with wilderness angling or camping experience are given priority. This week is highly sought after and always books full 1 year in advance.